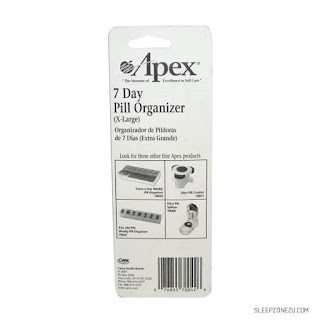 Organize your pills and vitamins conveniently with The 7-Day XL Pill Organizer. 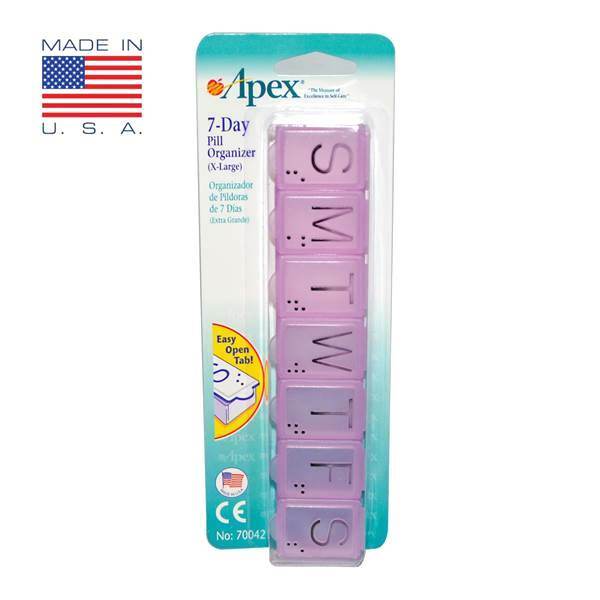 The easy snap lids keep pills safe and hold them securely in a drawer or on the go in your bag or purse. 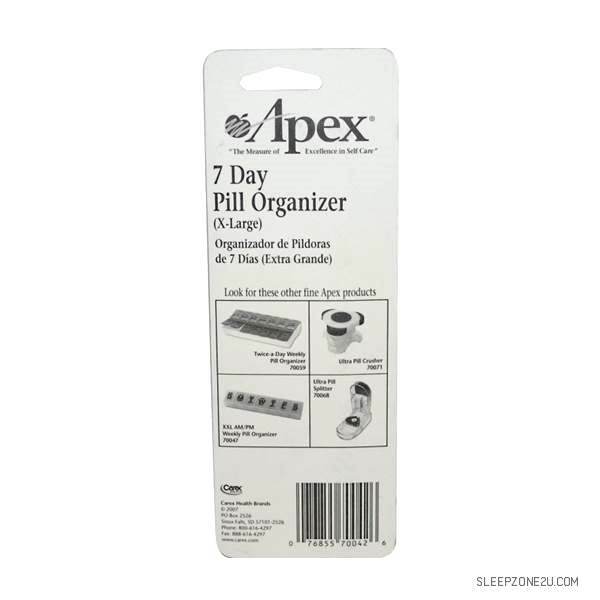 Apex 7-Day Extra Large Pill Organizer: is Convenient organizer for vitamins and medication. 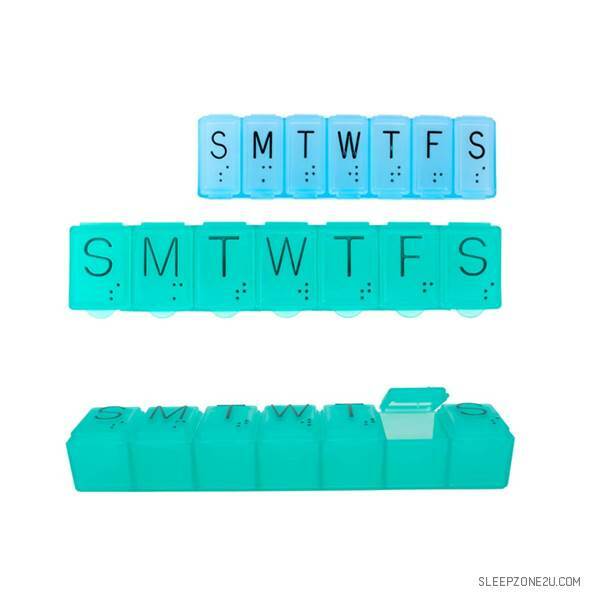 Designed for use by sight impaired with raised letters and Braille markings. Designed for use by sight impaired with raised letters and Braille markings. ► Product Dims (h x w x d): 6.25" x 1.38" x 1"